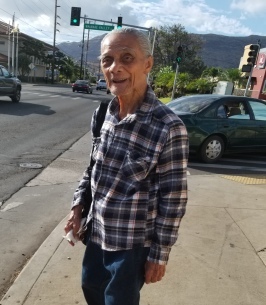 David Ohiaokalani Iona, 88, passed away on March 21, 2019 in Waianae, Hawaii. He was born in Hilo, Hawaii. He is survived by Sons Ronald (Marylee), Donald Sr., Derwin (Sabrina) and Wayne (Yvonne) Josue, Daughters Rosemarie (Daniel)Achuela and Josephine "Joji" (Kenneth) Silva, Sister Roseline Kailiehu, Twenty three grandchildren and numerous great grandchildren, also numerous nieces and nephews. To send flowers to the family of David Ohiaokalani Iona, please visit our Heartfelt Sympathies Store.